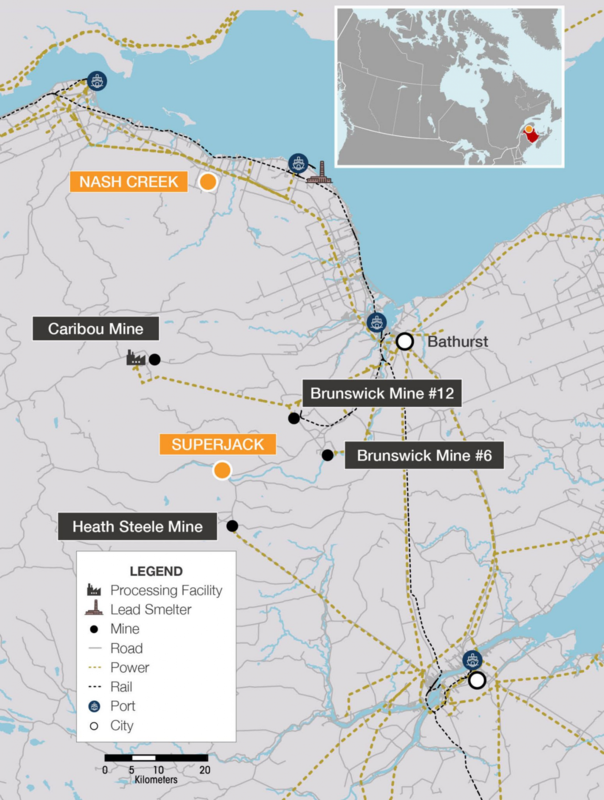 Callinex Intersects 13.0 Meters of 5.7% Zinc Equivalent Mineralization at Nash Creek in New Brunswick - Callinex Mines Inc. Drill hole NC17-254 intersected 9.0m of 7.7% Zn Eq. at a starting depth of 49.0m and confirmed continuity between the northern expansion of the Nash Creek Deposit. Vancouver, British Columbia – January 29, 2018 – Callinex Mines Inc. (the “Company” or “Callinex”) (TSX-V: CNX; OTCQX: CLLXF) is pleased to announce assay results from three drill holes as part of the recently completed 35 drill hole campaign at the Company’s 100% owned Nash Creek Project located within the Bathurst Mining District of New Brunswick (See Figures 1, 2 and 3). All three drill holes intersected significant mineralization with two of the holes intersecting high-grade, near-surface zinc mineralization. 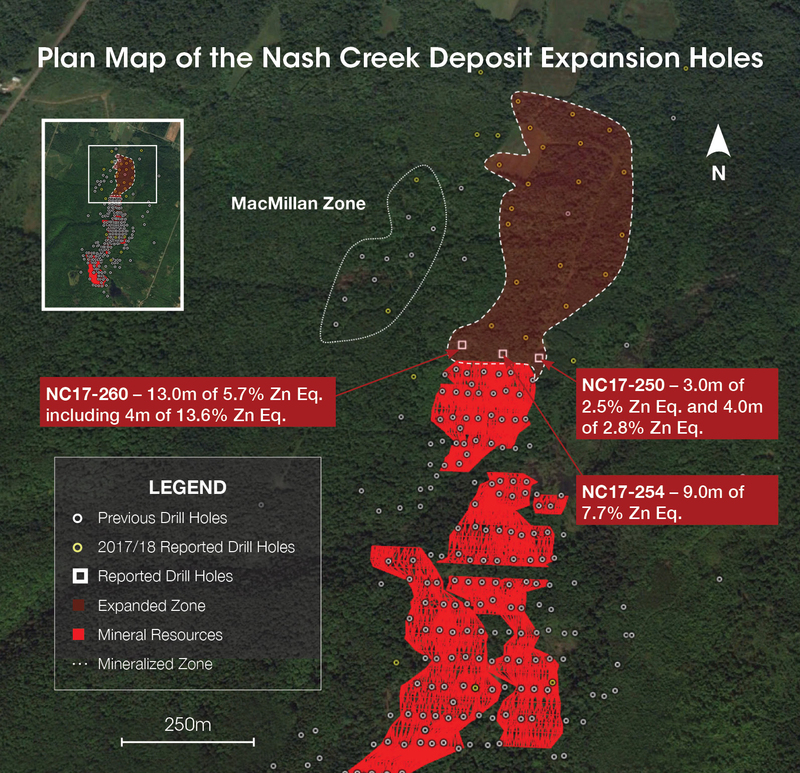 Drill hole NC17-260 expanded the Nash Creek Deposit laterally and intersected 13.0m of 5.7% zinc equivalent mineralization (“Zn Eq.”) starting at a depth of 72.0m including 5.0m of 11.8% Zn Eq. (See Table 1). 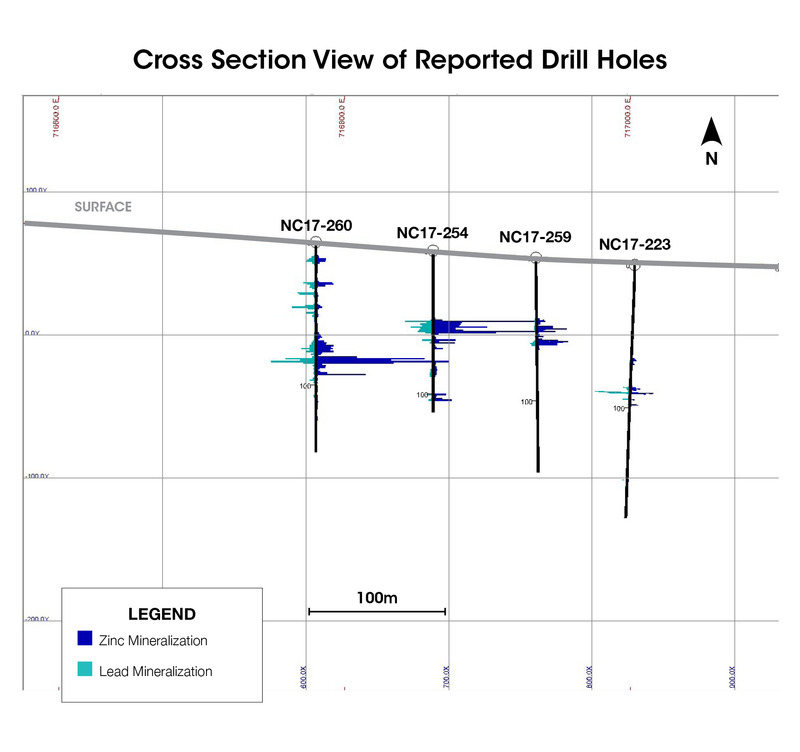 Drill hole NC17-254 was completed to confirm continuity between the northern expansion of the Nash Creek Deposit and the extent of the current mineral resource (See Figure 3). This hole intersected 9.0m of 7.7% Zn Eq. at a starting depth of 49.0m and demonstrated a robust zone of mineralization with all samples grading in excess of 4.0% Zn Eq. High-grade mineralization intersected in hole NC17-260 is open for further expansion to the west and northwest towards the MacMillan Zone (See Figure 3). The MacMillan Zone is interpreted to be located along a mineralized fault that also hosts the Hayes Zone located 1 km to the south. The MacMillan Zone is one of five mineralized zones at the Nash Creek Project, two of which host the current mineral resource estimate (See Table 2). CM-2 – 8.5m of 7.1% Zn Eq. (3.3% Zn, 3.8% Pb, 20.0 g/t Ag) and 8.8m of 5.4 Zn Eq. (3.2% Zn, 2.0% Pb and 20.3 gt Ag). *The drill results are historic in nature and should not be relied upon. The Company relied on previous assessment reports from Falconbridge and has not carried out its own QA/QC on these results. Even though these results are not necessarily indicative of the mineralization in this zone, the Company believes that the historical drill results identify a key target for further drilling activity. See Table 1, Note 1 for zinc equivalent calculation. Three north-striking vertical faults appear to be a pathway for mineralization at the Nash Creek Project. The Peacock Fault appears related to the Hayes Zone and the Chickadee Fault appears to be related to the Hickey Zone. 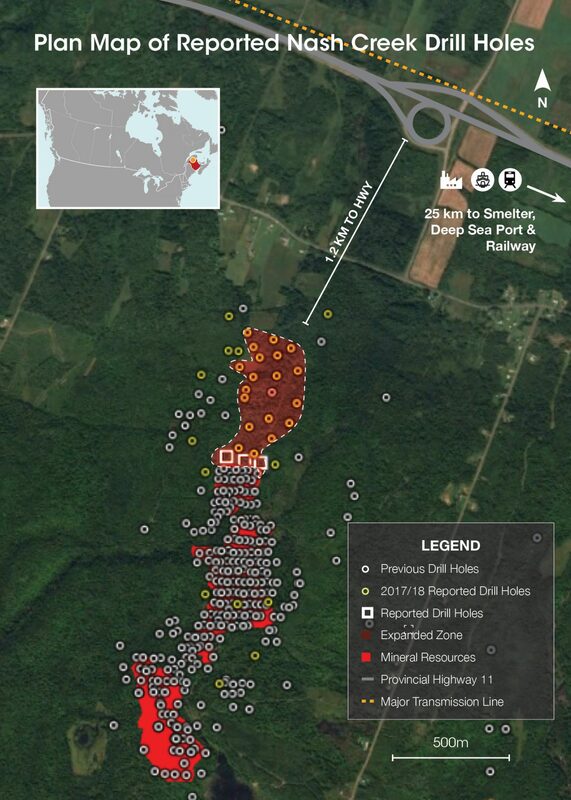 The Peacock Fault has only had one hole drilled between the Hayes and MacMillan Zones and is one of several high-priority targets at the property that will be drill tested in 2018.
al equivalent calculations. The zinc equivalent calculation is as follows: ZnEq = 100 ((Ag Price in (g) x Ag Grade) + (Pb Price*2204.6 x Pb Grade(%)/100) + (Zn Price*2204.6 x (Zn Grade(%)/100))/Zn Price*2204.6).